Ryan Scott, who earned his BS in physics from RIT in 2016, has won the AAPT-ALPhA Award for developing a new experiment for the upper-level undergraduate physics lab at RIT. The award also recognizes Scott’s faculty advisers Edwin Hach III, assistant professor of physics, and Stefan Preble, associate professor of microsystems engineering and electrical and microelectronic engineering at RIT. Hach and Preble are both members of the university’s Future Photon Initiative, an RIT signature research area. Scott will receive his award and $4,000 at the American Association of Physics Teachers meeting in Cincinnati, Ohio, July 22-26, and present his research in an invited talk. Faculty advisers Hach and Preble will also be recognized at the event. Scott’s experiment can be used as an undergraduate teaching tool to explain concepts that form the basis of quantum computing research. It demonstrates fundamental quantum mechanics by replicating the Hong-Ou Mandel effect to study the behavior of photons, or particles of light. The experiment illustrates superposition and entanglement, fundamental quantum mechanical effects that capture two photons, as a wave and a particle, with one influencing the other at a distance. 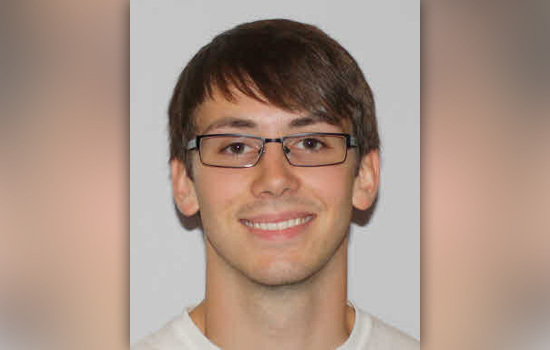 RIT gave Scott multiple opportunities to conduct undergraduate research and to be part of the Center for Detectors during his senior year, he said. Scott develops and implements software at Epic Systems Corp. in Madison, Wis. He is originally from Shrewsbury, Mass.